Educators find value in the apps real-time analytics to improve productivity, gain important insights and minimize the time needed to find student and skills based information. Teachers are able to capture and record insightful classroom interactions that give them the feedback needed to confidently guide students toward building necessary skills for achievement and success. 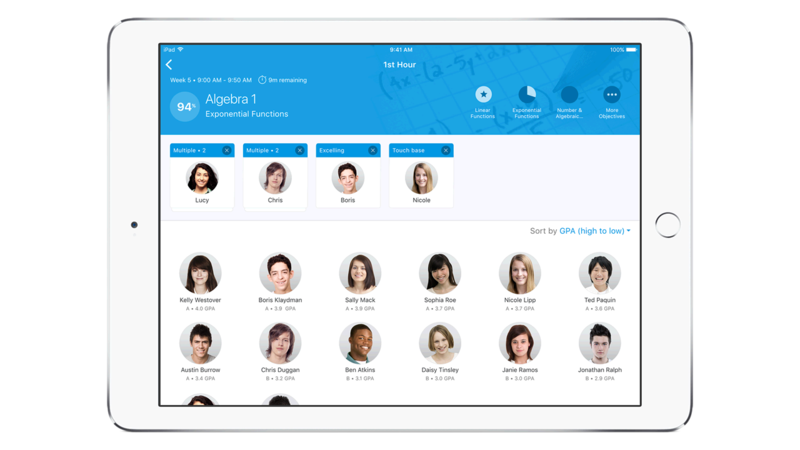 The apps mobility enables educators to perform at a higher level of teaching and students at a higher level of learning from anywhere, anytime. Notifications provide valuable information on student activity allowing teachers the ability to customize the learning.